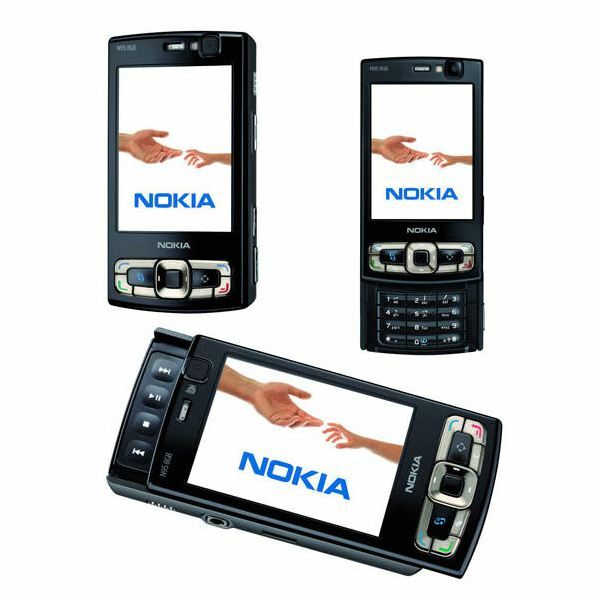 The Nokia N95 8GB was the first truly feature-rich mobile phone I ever owned. Smartphones had been around for a while but the Nokia N series represented a step forward and helped to really popularize them. 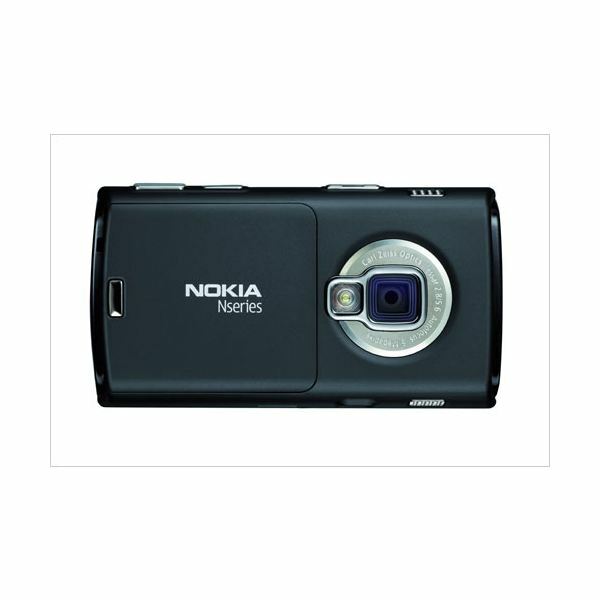 The Nokia N95 has an amazing range of features packed into it and remains a reasonable size. A few years earlier this kind of functionality would have been limited to BlackBerry or PDA wielding business types. By 2007 it was becoming standard for any mobile owner and, with monthly contract deals allowing you to duck the big price tag, the Nokia N95 took off in a big way, and is still a great phone by today’s standards. The original Nokia N95 came in silver but it was worth hanging on for the Nokia N95 8GB which packed in loads of extras and came with a much more stylish black finish. The N95 is a sliding phone with a large screen (2.6 inches in the original, increased to 2.8 inches for the N95 8GB). It can slide both ways, up reveals the keypad with backlit keys and sliding it open brings the screen and buttons to life. You can also slide the screen the other way to reveal a set of video controls for watching movies and the screen resolution is 240 x 320 pixels. Looking at it from the reverse side, it resembles a digital camera and it is quite a hefty and chunky phone. Mobiles get smaller and more stylish so quickly that, though this seemed remarkably compact at the time, it now seems a bit on the big side. It weighs in at a reasonable 120g and it measures 99 x 53 x 21mm. The bottom of the phone has a mini-USB to sync with your PC and a port for charging. The right side features volume and camera controls. The left side has a handy 3.5mm headphone port and there are speakers in either side. The top of the phone has an on/off button which is impossible to accidentally press and since the keypad and movie controls are concealed when the screen is slid across, and the navigation keys only come to life when you slide it open, there is no risk of accidentally pressing anything. Overall the design is very user friendly and the prominent screen makes it look good but finger smears are inevitable, especially when you slide the phone open. It is also undeniably on the chunky side which detracts from the aesthetics. 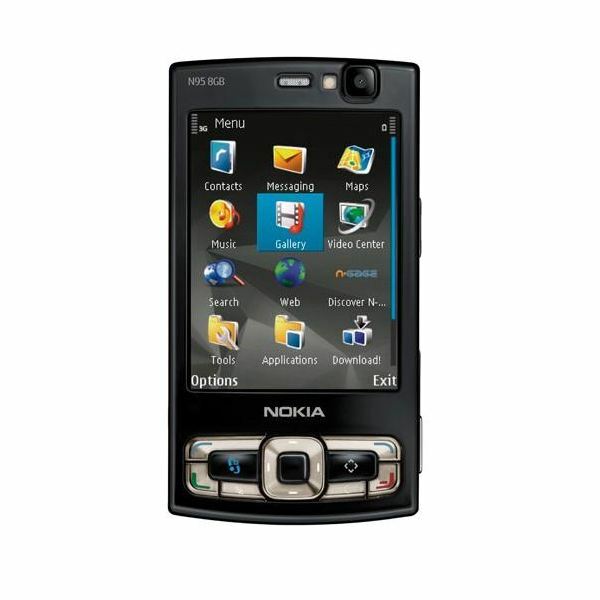 The Nokia N95 8GB runs on the Symbian operating system, version 9.2. When you slide it open the central button offers quick access to your contacts and the top buttons are shortcuts to messaging and web access. The main menu can be accessed with the left button and it features a simple icon system to offer access to the various phone functions. The right button takes you straight into the audio player function. Bottom right is your call button and bottom left ends call. You can also just press and hold the take photo button to activate the camera function quickly. The menus are easy to navigate and nothing is more than a couple of button presses away. This is a very user friendly device. The Nokia N95 8GB has a terrific range of features. For a start it runs on 3G networks and it supports Wi-Fi (802.11 b or g) so you can access and browse the web easily. You can also access office documents and email. You can view full web pages in the browser and since the phone has an accelerometer it will flip to portrait or landscape view to suit you. It also supports Bluetooth 2.0 for file transfer or wireless headphones and headsets. It features an integrated GPS receiver and ships with Nokia Maps so you can always pinpoint your location and access turn-by-turn directions. If you want voice directions you have to pay a little extra but the maps are free. There is even a TV out feature which allows you to output the video to an external TV with the cable supplied. There is also support for FM radio reception. If you want to play games then the phone ships with a couple of basic options. The Nokia N95 also supports the N-Gage mobile gaming service. There are various apps for the phone that you can download. The software package that comes with it includes the PC suite for backing up the phone contents and also the Nokia Lifeblog which displays all your photos, movies and texts in chronological order like a kind of timeline diary. The camera features Carl Zeiss optics and you can capture some really great shots with it. It is a 5 megapixel auto-focus device with a built in flash. The camcorder is pretty good too and you can capture at 640 x 480 pixels and 30 frames per second. Both feature a 4:3 aspect ratio. The Nokia N95 also includes a basic set of apps such as a clock, calendar, calculator and file manager. All in all it has a long list of useful features. The call quality is excellent and voices are clear and distinct. The audio player is reasonable but not brilliant. The text messaging is fast and efficient and you can send MMS texts. Booting the phone takes a while as you get the Nokia intro but it generally picks up the signal pretty fast. 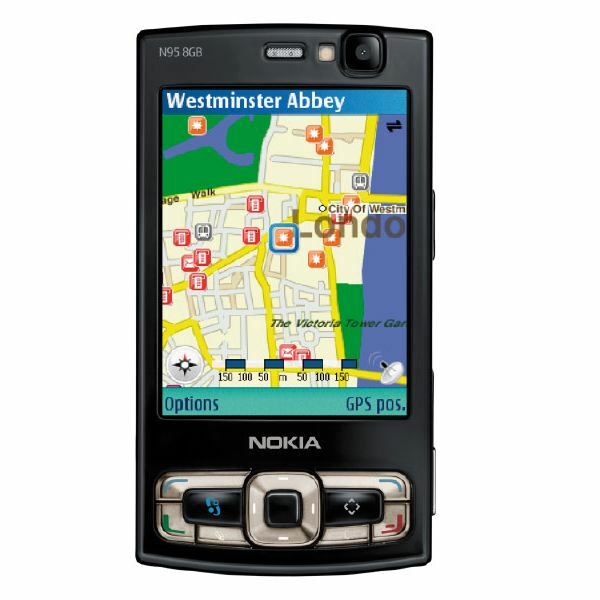 The Nokia Maps application and web access in general is a bit slow to start up but once you are in it runs smoothly. It is best to use Wi-Fi wherever possible to avoid network charges. Watching video on the Nokia N95 is great and with 8GB you have plenty of room. The camera is decent quality and if you take your time with it you can get some great shots although the jpeg compression will sometimes detract from the clarity, a cheap digital camera now will surpass it. The camcorder function is very easy and good quality for a mobile. The big downside with this phone is the battery life. If you use it strictly for calls then maybe you’ll get somewhere close to the estimated usage time from a fully charged battery (up to 200 mins talk time, up to 200 hours standby). For the most part if you use the camera or access the web you’ll need to charge the phone every night. Even although the Nokia N95 8GB version has a bigger battery than the original release it still needs frequent charging. This power hungry phone can also get very hot at times, if for example you watch a whole movie on it.